Pierre Claeyssens Veterans Foundation (PCVF) welcomes retired Army Master Sgt. Jon L. Parra to the Board of Directors. Jon brings 20 years of experience in the Army with numerous years in leadership roles, extensive course training and multiple recognitions. Jon was born in Los Angeles and enlisted in the Army in 1993. His military education includes a variety of courses spanning from Primary Leadership Development, Basic Noncommissioned Office to Master Gunner and Advanced Airborne School - Jumpmaster. He was honored with numerous accolades during his time of service, including the Defense Meritorious Service Medal. 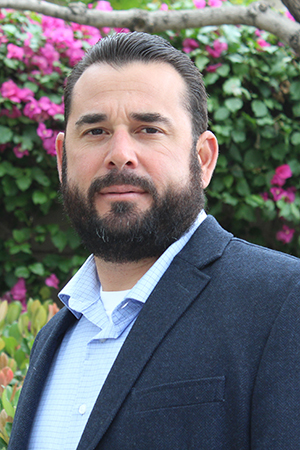 Upon Jon’s retirement from the Army in 2013, he served as the inaugural Veterans Service Coordinator at the UC Santa Barbara Veterans Resource Center. He is a co-founder of SBTactical, a company which offers active shooter training equipment for law enforcement. A Goleta resident, he and his wife Yuliya have two children, Keana and Daniel. Wings of Freedom Tour May 13, 14, 15, departing 16th for Santa Maria! will be flying the skies in Santa Barbara and on the 16-17th departing on the 18gh.